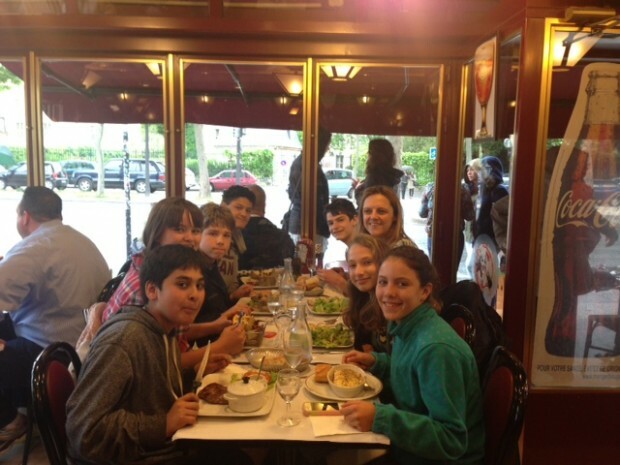 For nearly a month, our French Program Middle School Students live with French host families and attend the local school, La Source. Students live and study like any other French student, making connections across cultures and forming lasting international friendships. 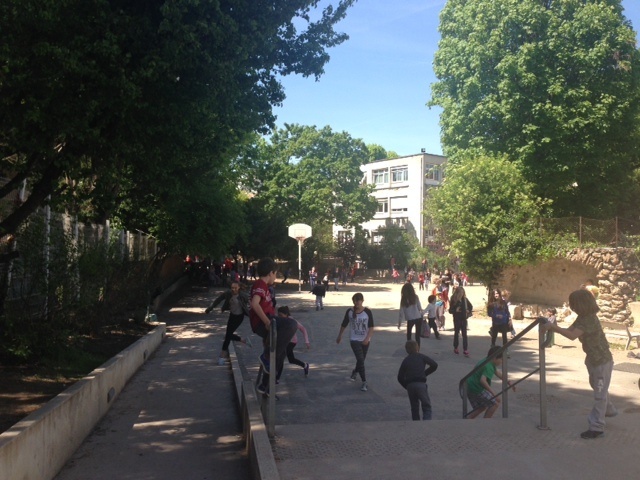 In fact, many students already have friends at La Source School, because as part of our ongoing relationship with the school, ISTP hosted several La Source students earlier this spring. The experience has a lasting impact on our students, and some ISTP graduates, who participated in the exchange in the past, continue to spend time with their French host families from La Source during high school. Our students’ ability to thrive in a different, although familiar, country and culture is a testament to the extraordinary adaptability imparted by an ISTP education. This past week, I spent time with our students at La Source. 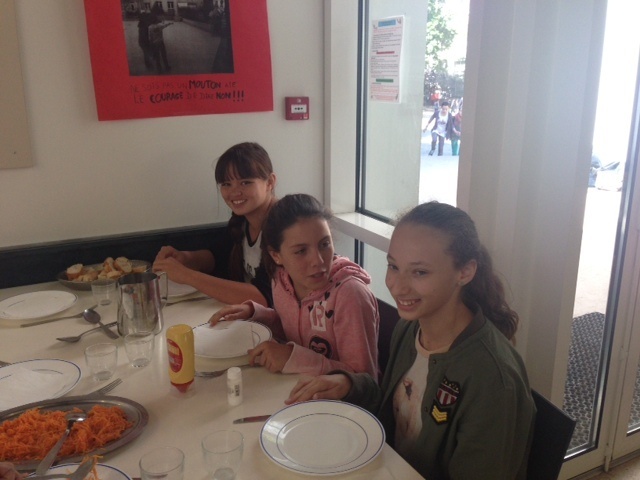 They all reported that they have thoroughly enjoyed their time in France so far. Students commented that La Source is very different from ISTP, because the "periods last longer," "there is no school on Wednesday afternoon," and "school starts and ends at different times every day." In addition to daily life at La Source, two special day trips into Paris are another important aspect of the cultural exchange. 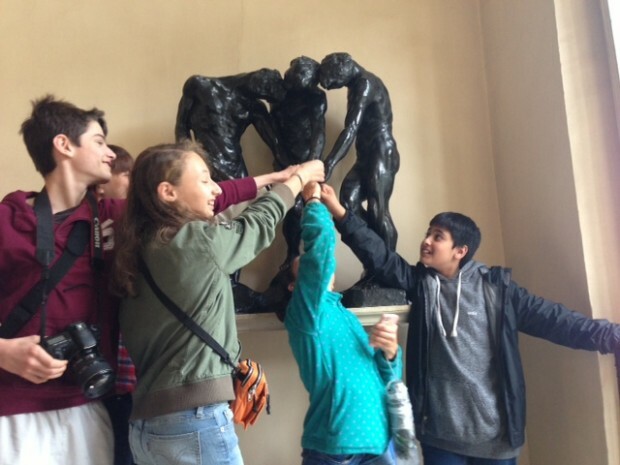 These trips give our students the chance to experience important French cultural sites for themselves, and I would like to give you a glimpse of our exciting activities! Paris Day 1: To begin our whirlwind tour of Paris, we took the train and the metro from Meudon to Saint-Michel. From there, we walked to Notre-Dame. 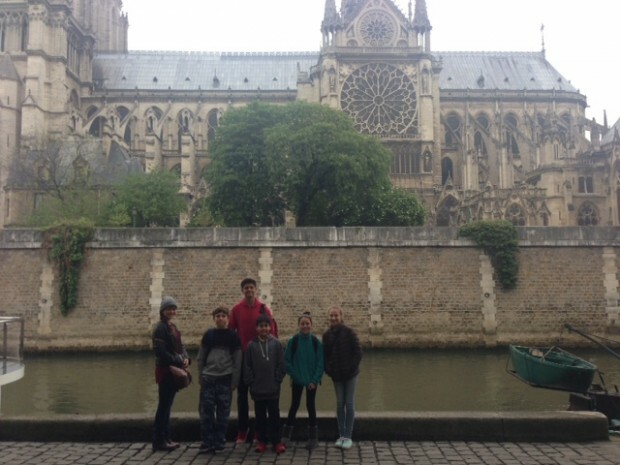 We visited the cathedral, one of the finest examples of French gothic architecture. We admired the details of the statues and the vibrant colors of the stained glass windows. Walking around the cathedral on the banks of the Seine, we studied the impressive buttresses supporting the massive structure. Then, we proceeded to walk up the boulevard Saint Michel, along the third century ruins of the Roman baths of Cluny. These baths are the best-preserved Roman remnants of Paris. We visited the Sorbonne, its courtyard, and one of the amphitheaters, where students still take classes. We then went to the Panthéon, an 18th century church with a dome modeled after the Pantheon in Rome. It has been transformed into a crypt where distinguished French citizens are buried. 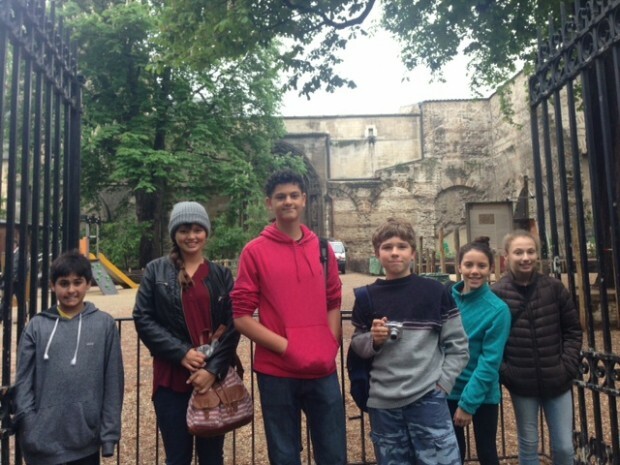 We stopped in front of the tombs of Marie Curie, Voltaire, Rousseau, Victor Hugo and Jean Moulin, and the students had the opportunity to learn a little about their lives and accomplishments. After an abundant lunch in a café facing the Panthéon, we walked in the Garden of Luxembourg, one of the biggest public parks in Paris. 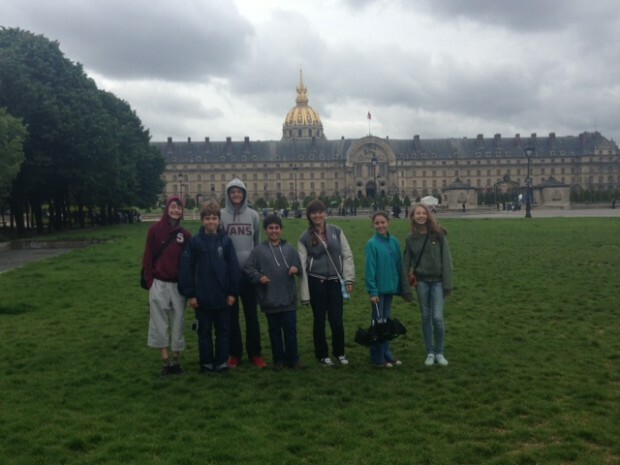 We admired the palace of the French Senate, a 17th century palace built by the French queen, Marie de Medici. We finally ended our very full day by going to the Museum of the Palais du Luxembourg, where we saw a beautiful exhibit on the life of Josephine de Beauharnais, the first wife of Napoléon. The exhibition brought together many of her personal belongings, and we discovered different aspects of her public and private life by looking at her jewelry, clothes, letters, paintings and furniture. At the end of the day, we had an ice cream in a restaurant next to the school. 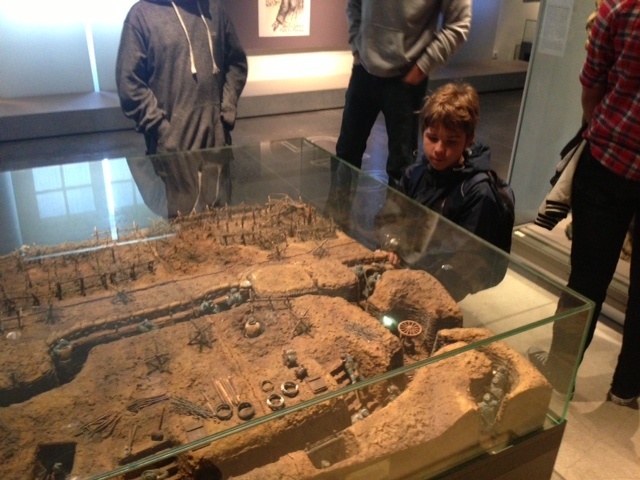 As we were eating, I asked them which of the many sites we visited was the most fascinating. Many of them answered that they liked the exhibit on the life of the first wife of Napoléon. I was very impressed by how appreciative they were of everything we saw today. They asked many questions, and made insightful observations. Paris Day 2: On our second day trip to Paris, we learned about the recent history of France by visiting the Museum of the Two World Wars. The museum depicts the different periods of these world-shaping conflicts, following successive periods from the beginning of WWI to the liberation of Europe at the end of WWII. While there are weapons, artifacts, and multimedia exhibits on display, the museum is primarily focused on the causes, and the historical impacts of the two wars. After lunch, we visited the Rodin Museum, located in a big 18th century mansion surrounded by a park. The mansion used to be Rodin's workshop and home. Rodin gave it to the state, along with his collection of paintings and sculptures, so that it could be turned into a museum. After looking at his sculptures, we had desert in the gardens of the museum. To end our day, we went to the Hôtel des Invalides, which was built in the 17th century as a home and hospital for aged and unwell soldiers. 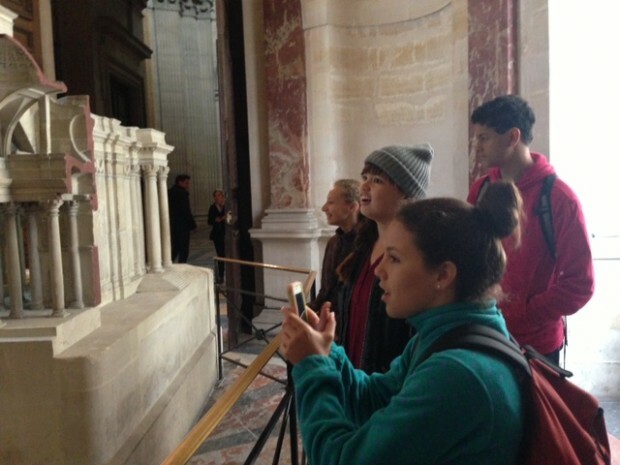 We visited the courtyard, the church, and the Tomb of Napoléon Bonaparte. The church was built by Mansart, and is referred to as the Église du Dôme from its most striking feature, a 107 meter high dome. Napoleon was buried under the dome in 1840, when King Louis Philippe arranged for his remains to be brought to France from the Island of Saint Helena. The day was definitely educational and enjoyable for all. I have no doubt our Middle School students will continue to learn and thrive as the trip goes on, and I look forward to providing you with more updates from France!